The Fourth Element Cyclone Jacket is a breathable, fully waterproof jacket, ideal for the dive boat, throwing on over an undersuit between dives or when the weather is awful. Constructed using XWP3 fabric with taped seams, reflective yet subtle branding and water-resistant zips on the hand-warmer pockets, the Cyclone is lightweight and easily packable. Developed to withstand the elements, the Cyclone jacket uses XWP3 (extreme weather protection) three layer fabric to provide the perfect solution to what we like to call ‘dive weather’. Between dives, on the way to the dive site, or simply as an everyday jacket, the Cyclone Jacket excels. 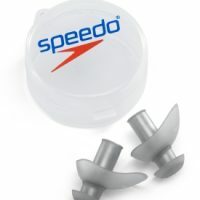 Breathable and waterproof with taped seams, this should be part of every diver’s surface gear. Loaded with features, the Cyclone Jacket will be one of the first items you pack for a weekend’s diving, especially if you are faced with the typical British summer, or indeed the Pacific Northwest. Zipped hand-warmer and welded chest pockets all feature water-resistant zips and the hood has 3D adjustment to give a snug fit in all weathers. A convenient sleeve pocket and subtle but reflective branding enhances safety when worn at night. The lightweight jacket packs up very small, making the Cyclone an essential addition for any dive trip. Please allow 2-3 weeks for delivery as this item is stocked only in small quantities. 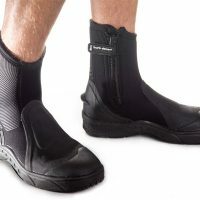 Buy Fourth Element equipment online in Canada with Free Shipping from Dan’s Dive Shop, the top stocking dealer.